PRICE REDUCED!! 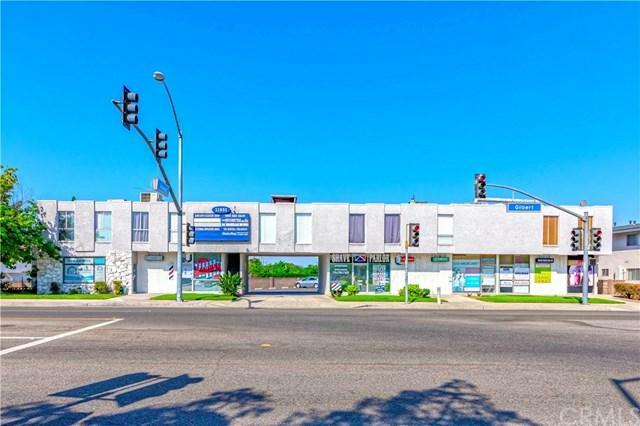 !Retail and Office property in Garden Grove located on Gilbert and Chapman Ave. This commercial property has 11 tenants in 2 stories. The first floor has retail tenants and the second floor has the office use tenants. The total building size is 6,120 sf and the lot size is 16,116 sf. There is ample parking with 23 parking spaces in the back of the building. This very excellent opportunity to investors is fully occupied by offices and retail business with long term presence. Also the current rent is low. Excellent cap rate with upside potential.This property is located at a busy signalized intersection of Gilbert St and huge parking lot facing major retail center anchored by Wal WALMART and 24 Hr Fitness.